Thousands of Summer Camp and in class Students helped us create the Best Online Coding Courses Ever! 1. Short Lesson Slides with Real Interaction to Enjoy Learning! 2. 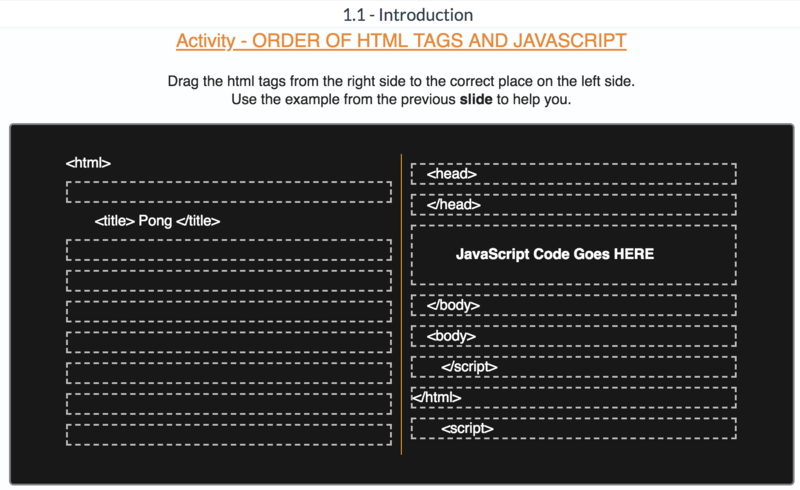 Embedded Coding Editors to Practice Concepts with Video Reviews for Every Slide! 3. Code Complete Games, Websites and Apps on Your Own Computer following Step by Step Activities! 4. Live Mentor Chat Support to Help Members with Any Question! Truly the best way to learn to code is to code your own ideas! We give our great members a few guidelines, see here for example, then let their creativity loose as they code and execute their own plan! Click here for games created by our students! Many who had only been learning to code for a few months. Get Your Trial Membership Today! Good for the WHOLE FAMILY! 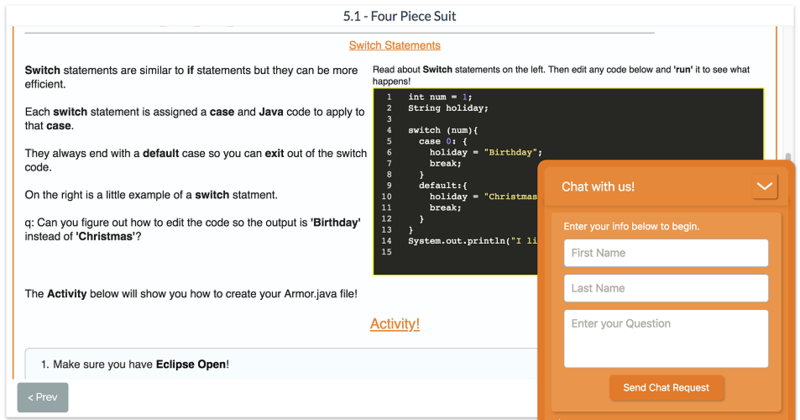 Experience how our Proven Learning System Helps Our Members Learn to Code!